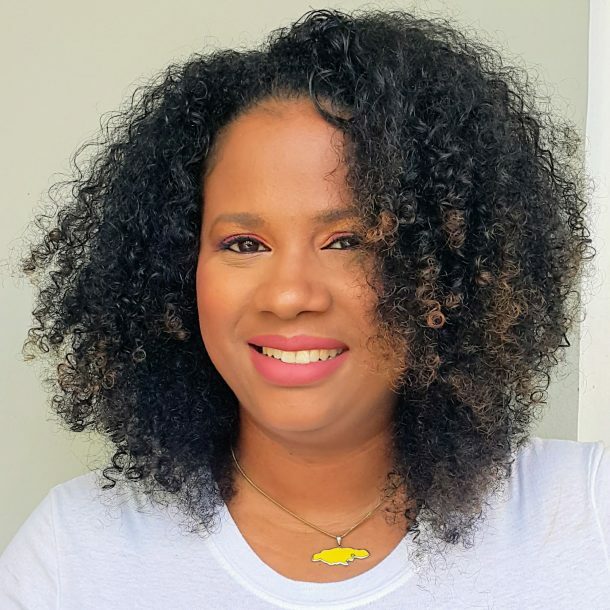 While the chikungunya virus was near epidemic levels in some Caribbean countries including Jamaica, it caused mass hysteria amongst those of us who knew very little about the virus. 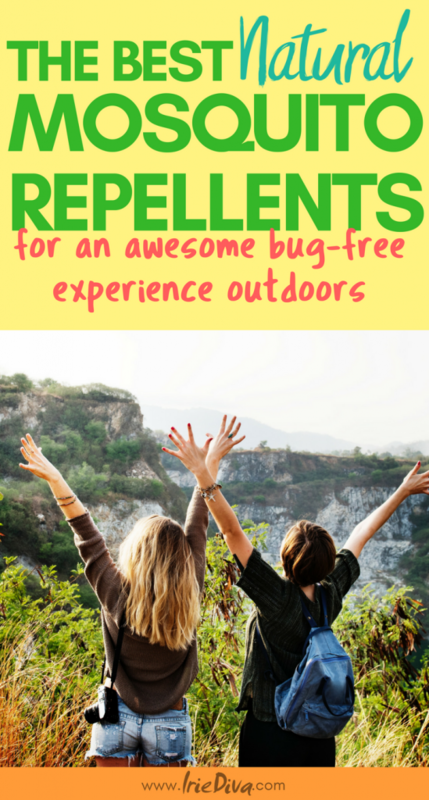 I tried a variety of natural mosquito repellents to keep the munchkin and me as safe as possible without applying harmful deet and other chemicals daily. Those who have chikungunya here report intense joint paints, high fevers, flu-like symptoms and rashes covering the skin. It appears to be going around in different strains as some who have had these symptoms have not had them as intensely. Members of my own family have had the fever, pain and rashes but nothing as decapitating as others have reported. Is it different strains of the virus or are some bodies able to resist and fight the virus better than others? What we do know about the chikungunya virus from the Center of Disease Control in the US is that it is transmitted to people by mosquitoes. The most common symptoms of chikungunya virus infection are fever and joint pain. Other symptoms may include headache, muscle pain, joint swelling, or rash. Repellents containing DEET, picaridin, IR3535, and oil of lemon eucalyptus and para-menthane-diol products provide long lasting protection. If you use both sunscreen and insect repellent, apply the sunscreen first and then the repellent. Do not spray repellent on the skin under your clothing. Treat clothing with permethrin or purchase permethrin-treated clothing. Always follow the label instructions when using insect repellent or sunscreen. It is understandable that most of us would want to use chemical repellents to ensure our safety from the virus, but it raises concern in me especially since we are now at a point where we are using it daily and sometimes multiple times per day. The Environmental Protection Agency, EPA, says that if used as directed, bug sprays containing DEET are not harmful to us, although long-term exposure is. When you spray it on your skin, it gets absorbed and eventually enters the bloodstream. It pumps through your nervous system and has been proven to kill brain cells, causing neurological damage. If you have heavy exposure to DEET, you may experience memory loss, headache, fatigue, muscle and joint pain, and shortness of breath. DEET could be considered a poison, but the EPA feels that small doses are OK for us. So if you’re using a product containing DEET, follow the directions on the bottle. Don’t over-apply, and as soon as you go inside, wash your skin off with soap and water. Sleeping with DEET is definitely dangerous, it is better to use mosquito nets or other forms or airborne repellents. Research should be done on each oil’s effect on your skin as natural does not always mean safe. Lemon eucalyptus oil, for example, should not be used on children under three years old. Catnip oil, however, is said to provide 7 hours of relief and so may be worth looking into. These oils should be mixed with carrier oils such as coconut or olive oil before being applied directly to skin. You will need to reapply the mixture every 2-3 hours if you will be outside for long periods. Carbon dioxide emitted by our bodies is an attractant to mosquitoes, therefore, a burning candle may detract them away from you and to the candle. Burn a candle that contains citronella oil to keep them away from the area altogether. Be careful of falling asleep leaving a burning candle. Repelling mosquitoes is great but what happens if we get bitten? With no established cure for the Chikungunya virus, these natural remedies may help in easing some of the joint pain, fever and rashes associated with the virus. Papaya Leaf contains lots of great nutrients such as B-Vitamins for vitality and enhanced mood, Vitamins A and C which are powerful antioxidants, calcium and Vitamin D which are important for strong bones, Vitamin E which is important for sexual and cardiovascular health. Flavonoids that are powerful antioxidants that keep away cancer and cardiovascular disease, tannins that boost the immune system, and betacarotene for immune enhancement and eye health. 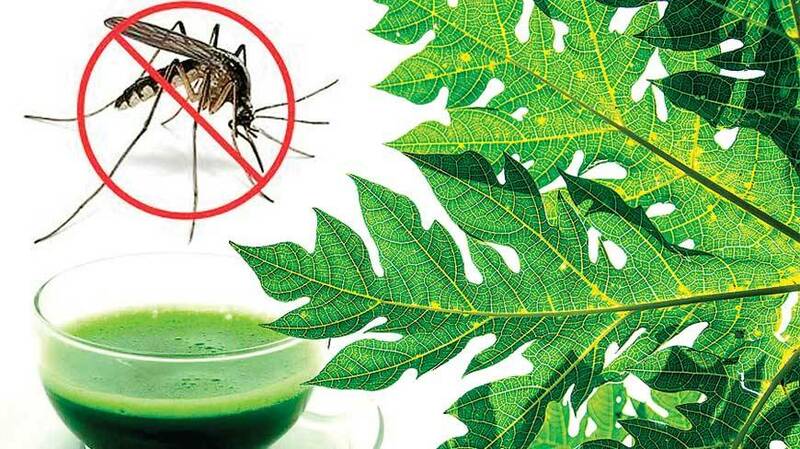 Papaya Leaves made into a tea lower fevers and helps with colds, flues, chikungunya and dengue fever. Extracting the juice from the leaves directly and consuming will help to improve blood platelet count which falls when one has the virus. The Kola Nut native to the rainforests of Africa is commonly referred to as bissy in Jamaica and has long been a remedy used in the Jamaican household for ailments such as upset stomach and whooping coughs. It is high in caffeine and boosts metabolism, eases hunger pangs and is said to enhance male potency. Drinking bissy tea has been reported to help ease the flu-like symptoms of the chikungunya virus. Because of the caffeine content, those with heart-related issues should exercise precaution. The Neem Tree has been praised in ayurvedic traditions for thousands of years for maintaining health and overall well-being. The roots, bark, gum, leaves, fruit, seed kernels and seed oil are all used in therapeutic preparations for both internal and topical use. Making a paste with the leaves or using the oil on the skin can help to alleviate the rashes caused by the chikungunya virus as it is antibacterial and anti-inflammatory. Some have reported using fever grass to help with the symptoms but Dr. Alfred Dawes, president of the Jamaica Medical Doctors Association, warns against this. He says fever grass may lead to haemorrhaging, a more severe symptom of the virus. As always, speak with your medical doctor before using any alternative methods of treatment. While these remedies and repellents will help us in the fight against chikungunya, I believe a strong immune system is our best weapon of defence. Here is a post outlining some immune system boosters that will help to ward off and overcome infections leaving us less reliant on modern medicine and chemicals. The information provided above is solely for research and thought-provoking purposes and not meant to be taken as medical advice. Please investigate and speak with your health representatives to determine the best line of defence for you. Very, very informative and I am going to save this post for future use. Just today I heard on the radio that pain killers are gone from the pharmacy shelves in JA. Stay Healthy & Happy! Awesome Neti, thanks and please share! Informative but, are you sure about taking ibuprofen. I’ve read that is a no no.